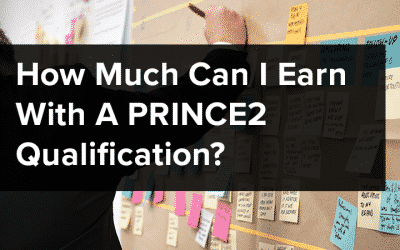 I have written this article with the aim of explaining PRINCE2® to those both familiar with the qualification and where it can take them career-wise, as well as those who know very little about it. 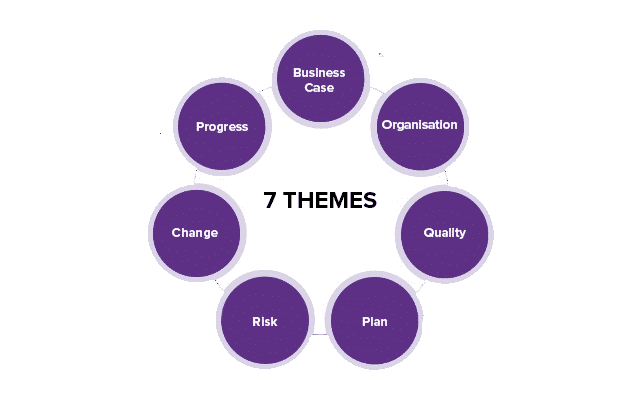 A step by step course, PRINCE2® is designed for current or aspiring project managers and also for key members of staff involved in the planning, development and delivery of a project. 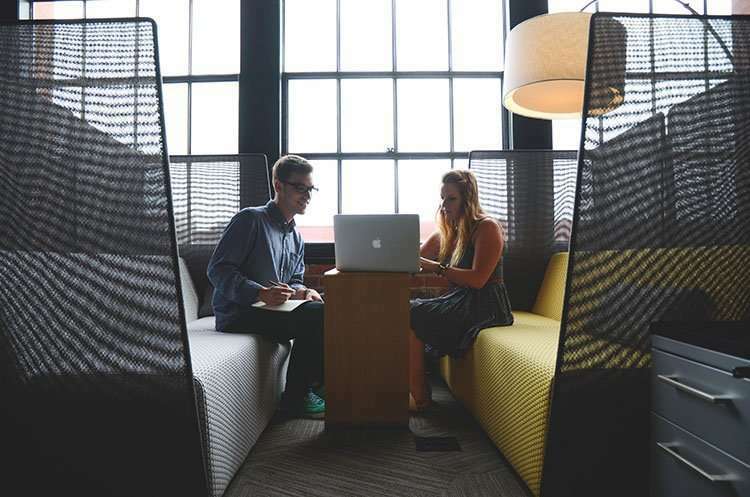 Whether an administration or management role, PRINCE2® provides organised communication between project leaders and their teams and is a means of capturing and sharing lessons to be learned for the future managing of projects. Continued business justification Projects must make good business sense as there needs to be a return of investment and the use of time and resources need to be justified. Learn from experience A lessons log should be kept and regularly updated so that teams can reflect on lessons learned from previous projects. Define roles and responsibilities Those involved in a project should know what everyone involved is doing, especially the decision-makers. Manage by stages Break up difficult tasks into manageable stages. Manage by exception If a project is running smoothly, the project board is only informed of actual or potential problems. Focus on products Product requirements determine structure and activity, so everyone involved in the project should know in advance what is expected. 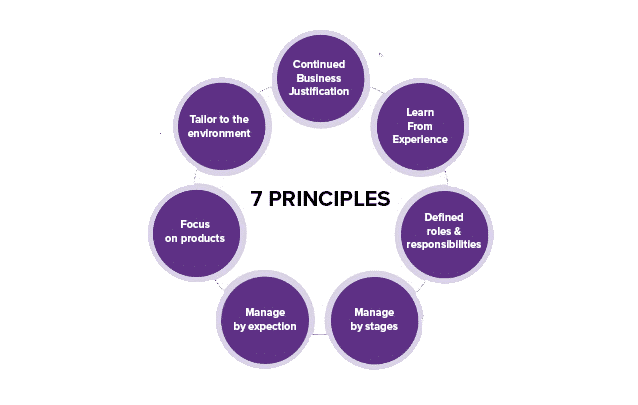 Tailor to the environment PRINCE2® can be adapted and tailored to the needs of the project and is thus more likely to succeed than a more dogmatic approach. Provide insight into the management of the project and how the principle should be put into practice. Business case This theme allows for the investigation into whether or not a project is worthwhile and achievable. It is relative to the business justification principle. Organisation This is an organisational theme requiring everyone’s role and responsibility to be recorded. It is relative to the define roles and responsibilities principle. Plans Describe how targets are hopefully to be achieved and focuses on the product, timescale, cost, quality and benefits of the project. Risk This theme identifies, assesses and controls uncertain events that are recorded in a risk log. Negative risks are known as threats and positive risks are knows as opportunities. Change Every project is liable to change. The idea, however, is not to prevent the changes but rather to agree them before they are executed. Progress The progress of the project needs to be tracked continuously, allowing managers to check and control the plan. Without progress checks, projects can easily go off track and without regular tracking, you may not even be aware that it is heading that way. Allow the separation of the running of the project. Each process is overseen by the relevant project manager and approved by the board. Starting up a project (SU) Creation of project mandate which includes logistics, explanation of the projects purpose, how it will be executed and who it will be executed by. From the mandate a project brief is derived including lessons log and discussions with members of the project. Once the brief has been prepared then the team is assigned who now have access to any relevant information necessary to the project. Initiating a project (IP) This is the stage where what needs to be done to complete the project is realised and the project manager will outline the following performance targets that are to be managed. Time, cost, quality, scope, benefits and risk. Directing a project (DP) This is an ongoing process from start to finish. The initiation, stage boundaries, ad hoc direction/guidance and project closure are managed by the project board. Controlling a stage (CS) Once a work package has been authorised by the project manager the project is broken down into manageable activities which in turn are assigned to the project teams. The project manager then oversees and reports on the progress and steps in to correct any problems whilst the team manager coordinates the daily work and acts as the go-between for the project manager and team members. Managing product delivery (MD) Controlling the communication between project and team manager consisting of three activities; accepting, executing and delivering the work package. Managing stage boundaries (SB) Every stage of the project is reviewed by the project manager and the board. 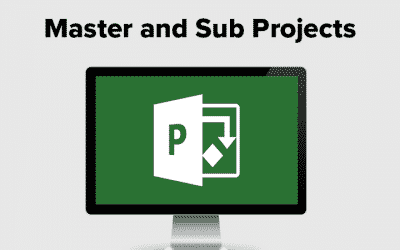 The project manager then meets with the team to record lessons learned for the next stage, so SB consists of planning the next stage, updating the plan, updating the business case and either reporting the stage end or producing an exception plan. Closing a Project (CP) The project has been completed so this stage deals with the decommissioning of the project, identifying any follow-on actions, preparing benefits and project evaluation reviews, the freeing up of left-over resources and the handing over of products to the customers. 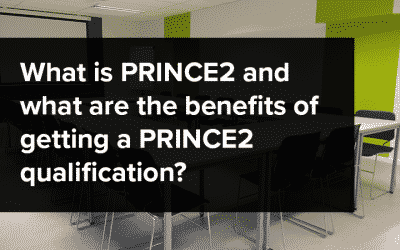 The PRINCE2® qualification consists of two levels, Foundation and Practitioner, although there is a third complementary qualification, PRINCE2® Agile course, which is to be discussed in the next post. The purpose of the Foundation certificate is to ensure that you have sufficient knowledge and understanding of the PRINCE2® method and is a prerequisite to the Practitioner certificate. Both Foundation and Practitioner qualifications are taken over the course of 5 days (assuming that you wish to complete the Practitioner course too!) Practitioners must renew their accreditation every five years. The Foundation course teaches the principles, themes and processes of PRINCE2® methodology. Foundation candidates spend two and a half days in the classroom and take an examination on the afternoon of the third day. Oh, … and did you think that you’d left your homework days at the school gates? Well, this course requires homework. Don’t let that put you off though, as it consists of simple tasks designed to confirm your knowledge and understanding of the PRINCE2® method. There will also be a little pre-course homework required in the form of a workbook, but again this is nothing to be concerned about. The purpose of the Practitioner certificate is to put what has been learned on Foundation into practice. With direction, the Practitioner candidate will be able to start applying the PRINCE2® method to projects. Basically, Foundation is the theory whilst Practitioner does what it says on the tin, practice. The Practitioner qualification allows the candidate to start applying the PRINCE2® methodology to projects.